Potentialism aka The Theory of Potential is the metaphysics theory developed via independent scholar David Birnbaum’s 3-part Summa Metaphysica treatise (1988, 2005, 2014). Potentialism is an overarching cosmological theory that attacks head on, the greatest of cosmology's questions: the Theory of Everything. ToE is the search for a unifying theory which can explain the universe on the micro and macro scale, from quantum particles to the turning of the galaxies. ToE already sounds too difficult a task. But Potentialists take it one step further. It is not sufficient for the Potentialist to simply unify Einsteinian and Newtonian physics with quantum physics. To Potentialists, ToE must encompass life as well. Any true ToE must not only describe the micro and macro, but be able to define the workings of life itself: the mechanics of the plant kingdom and the animal kingdom as well as the workings of humankind itself. A bridge too far? A hopeless quest? To most, perhaps. But Potentialism proponents thrive on the unassailable. To a Potentialist, the game is all-or-nothing. Potentialism, unlike other disciplines, refuses to “settle”. To the Potentialist, any theory which cannot include humankind and, more broadly, life as a whole – is simply the ToST – the Theory of Some Things. Put in those terms, it is clear to see why they shun any theory which lacks full inclusiveness. Universal – applicable from the micro to macro as well as be observable in the plant, animal and mineral kingdoms. It must be simple and irreducible. It must be absolutely pervasive – so much so that it is nearly undetectable without conscious analysis. achievable state. To see if Q4P satisfies the standards of ToE at all cosmic levels, let us analyze each in turn, beginning with scale, and then analyze the different kingdoms of existence. Q4P is perhaps most easily identified on the smallest and largest scales. On the smallest scale is the quantum level. It is often noted by Potentialists that the quantum level offers the most direct evidence of Q4P at work. While larger, macro scales tend to hide their mechanics within their own complexity – the quantum level is so small, simple and concise that it has trouble obfuscating its exact nature. Indeed, Q4P is clearly expressed in quantum level potentiality – the distinct on/off, binary nature of quantum events. Likewise the binary nature of quantum mechanics is prevalent in the Planck constants. In quantum mechanics, when enough of a catalyst (be it heat, energy, size, etc.,) are present, a quantum event occurs as a particle achieves its potential state. This quantum shift is a material expression of a Q4P threshold being met which causes a shift towards E+, or extraordinariation, as a particle changes from a simpler to a more complex state. Likewise, Q4P is clearly shown to be present on a molecular level. In the absence of a striving towards complexity, atoms could simply exist in their perfect, uncharged states. However, in reality, we see that anions and cations are readily abundant. This charge imperfection naturally lends atoms to co-mingling, giving rise to ever greater complexity/sophistication in which elements share particles to form intricate molecular structures. The formation of atoms is predictive in Potentialist theory, as post Big Bang protons and electrons were free of any atomic structure. But, in keeping with Q4P's inexorable call for complexity/sophistication, these particles naturally gravitated towards one another to create the current base elements in an expression of Q4P∞ → E+. Sitting astride the line between the micro and macro, Potentialists are required to detour to account for the rich tapestry of terrestrial life. 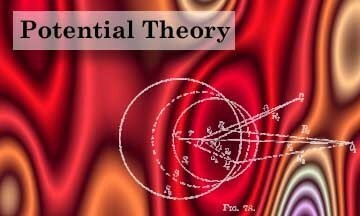 Holding itself to a higher standard of proof than other scientific models, Potentialism asserts that Q4P must be equally applicable to living phenomena as well as to the greater cosmos. What Darwinism cannot account for, or incorrectly labels as ‘pointless’, are actually evolutionary innovations which have an extrinsic finality. In more simple terms, while an adaptation may not be useful for a single organism regarding its ability to survive and reproduce, it does follow a purposed evolutionary framework if the adaptation furthers either the species as a whole or the broader ecosystem in which the organism resides. Usually, the latter is deconstructed as teleological, distinct from Darwinism. However, as predicted within the framework of Potentialism, if one assumes the drive for Darwinian evolution is identical to that driving teleological evolution, it becomes apparent there is little difference between these two theories. Rather, these theories are simply different, on a matter of scale, but parallel expressions of Q4P∞ → E+. Likewise, as an extension of the animal kingdom, humankind is seen to be governed by Q4P as well. Already immersed in Darwinian evolution as previously discussed, mankind represents one of the fundamental or quantum moments (in terms of a watershed change to a higher, more complex state) expressed by Q4P as a manifestation of the march towards Extraordinariation. Birnbaum refers to these significant/watershed/critical-mass events on the march towards E+ as Quantum Jumps (QJ events). Specifically, humankind represents a new order of complexity/sophistication in that it is self-aware and capable of reasoning, abstract thought and highly-nuanced emotion. Interestingly, as Extraordinariation is conceived as an infinite state of complexity/sophistication, humankind is not seen by Potentialists as being in a state of rest or perfection. The manifestation of humankind, an entity which can express itself cognitively in ways no animal can, is just another stepping stone on the path to super-Complexity/Sophistication. What that final stage of super-Complexity/Sophistication might be or whether it is even achievable is, to the Potentialist, unknown. What is blatantly clear, on the other hand, is that the universe was not content with simple biological complexity and, as it achieved a new level of complexity, it branched out into cognitive complexity. Simply put, the move from single celled life to multi-cellular life, as well as the move from animal to humankind, are both examples of Quantum Jumps (QJs) on the march towards Extraordinariation, in which Q4P reaches critical mass and becomes a catalyst for an event on the march towards E+. Drawing back to our review of the micro and macro, we next move to the cosmic level to see if the pervasive nature of Q4P still holds true. As on the micro scale, Q4P shows its presence in the macro. On a cosmic level, pure energy at the Big Bang event quickly gave birth to matter. That matter coalesced eventually into atomic systems, followed by the molecular. On a cosmic scale, these clouds of molecules and atoms converged to create dense stars – the nuclear furnaces of the cosmos – as well as the cooler planets and smaller bodies which orbit them. Q4P though requires that these heavenly bodies strive for more complexity towards E+. These Quantum Jump (QJ) events are witnessed in the formation of atmospheres and, in the instance of the earth, in the development of ecosystems which regulate the chemistry and bio-sphere of the planet. On a grander cosmic scale is the organizations of galaxies, a QJ event which proves to have greater and greater complexity/sophistication as modern science grows more efficient at observing them. Vast spaces of dark matter, separated by countless solar systems, revolving around massive galactic centers with super-massive black holes which distort time and space. The very complexity of these galactic systems are 1) unnecessary for matter to exist and 2) a clear expression of fundamentally high levels of complexity. This expression of complexity/sophistication as the cosmos expands is yet another repeating example of Q4P driving the cosmos to Extraordinariation: Q4P∞ → E+. Thus it is obvious that Potentialism has met all its objectives in its proof for the Q4P Theory model. An innate, teleological drive for the universe can be seen at each level between the micro and macro as well as inherent in the animal kingdom. Most importantly though, it is demonstrably and empirically shown to be pervasive.